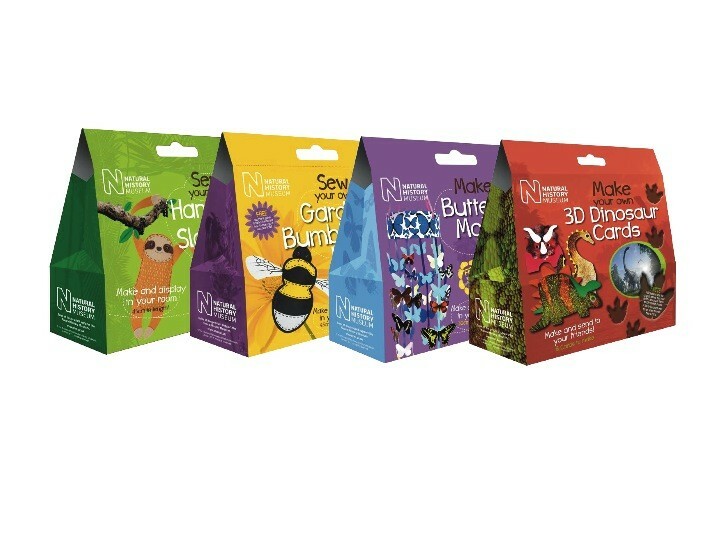 Working with the Natural History Museum’s Licensing team – Fusion have just designed a new range of packaging for Creativity International’s license range of kid’s craft kits. The new packs are designed to appeal to children 7 – 12 yrs with a focus on fun and learning. Kits include a dinosaur card making kit – a huge hit with young palaeontologists, sew a sloth, sew a bumble bee, and make a butterfly mobile! This has already generated great interest and sales from major retailers.